On the 5th of April, we are teaming up with Engage Audio to bring you an exploration into uncharted territories of drum and bass. Across two rooms of the warehouse vibe-laden venue ‘The Cause’, we are hosting some of the most renowned and sought after names in the scene, as well as heaps of impressive new talent. Released on Teebee’s ‘Subtitles’ imprint, this delightfully named song steers away from the usual style the duo are known for, and instead steps deep into funkville. The song bounces away throughout its 6 minute duration with what must surely be one of the wobbliest sub-basses in existence. This was originally released on Liquid V’s ‘Club Sessions EP Part 1’ on vinyl in 2005, and then released on CD and digitally as part of the ‘10 Years of Liquid V’ compilation in 2014. The song saw Commix (at the time a duo) reach for funk and disco influences, and to this date is one of the more unique songs of theirs that often misses people’s radars. This one appeared back in 2014 on a Commercial Suicide EP alongside ‘Headbangers Ball’ and ‘Beep’, two hefty rolling tracks that are synonymous with Nymfo’s signature sound. ‘Oblivion Dreams’, however, is a song that sits more within the liquid side of things, with spacey keys and a smooth bassline that would lead to many ‘eyes closed and lost in the music’ moments in the rave. Bredren teamed up with Diffrnt Music head honcho Dexta for this one, and the interesting collaboration led to a heavily footwork-influenced halftime tune. Bredren are usually known for their distinct style of minimal, clean-cut drum and bass, so it is interesting hearing them use their creative production on a wonkier flex. This one is a masterclass in how to tastefully remix an already sublime tune, with Philth adding his own subtle touch that brings powerful atmospherics to the euphoric liquid song. Whilst the tune had a solid reception, it is still one that slipped under the radar slightly in our opinion. Philth will be going b2b with Bredren on the 5th of April, and we cannot wait to what their combined powers will bring, especially with their huge recent EP together on Flexout Audio. Released on Vinyl only, Hyroglifics remixed a broken-techno 130bpm tune from multi-genre producer Doctor Jeep, and fashioned it into a tune that somehow resembles techno as much as it does footwork and drum and bass. Due to it being released on Vinyl, it is a tune that I have yet to hear be played out, yet it seeps innovation and atmosphere in a way many tunes don’t quite manage to. This one is a true hidden gem. A moody intro leads towards a halftime drop that intermittently introduces the eerie sounding synth from the original Nativ tune. After a quick break however, the song launches into a full-time minimal extravaganza that is typical of the producer. The way this song progresses throughout its entirety is admirable, even teasing some breaks towards the latter end. Perhaps known most recently by his Metalheadz EP alongside Jubei ‘The Saboteur’, this is a man that has some tricks under his sleeve. One of these is ‘Cyberdyne Symphony’, a song released on a various artists compilation from Proximity Recordings in 2014. Sci-fi imagery is conjured up as the deep synth-led intro builds and builds, before being thrusted into a weighty halftime drop with beefy drums and a bassline to match. Data 3 have a wider back catalogue than most may think, ranging from their bootlegs of artists from Chase & Status to John B (although this remains a dub), to their releases on labels like Flexout Audio and Shogun Audio. This half liquid/half deep roller was released as part of the ‘Mystic State Versus’ EP on Addictive Behaviour, an EP that saw rising stars Mystic State collaborate with artists like themselves, Philth, Detail and Wingz. Klinical is another one of many current rising talents in the drum and bass scene, with recent tunes being recognised on Noisia Radio, as well as having releases on labels like Skankandbass and Lifestyle Music. Even his minimal tune ‘Blame’ however, which was released as a free download in the Christmas of 2016, is of utmost quality, providing crisp drums on top of a heavy bassline and a subtly screeching synth. In fact, just check out his whole back catalogue while you’re at it. Four Points are the forward-thinking collective behind Engage Audio, and aside from gathering the talent for the label from far and wide, they also create some serious tunes. Their music always focus on clean production values and groove, with this tune from their first ever release on Engage Audio being no different. ‘Bubble Bath’ launches you straight into a no-nonsense stepping groove that is perfect for any smooth rolling set. 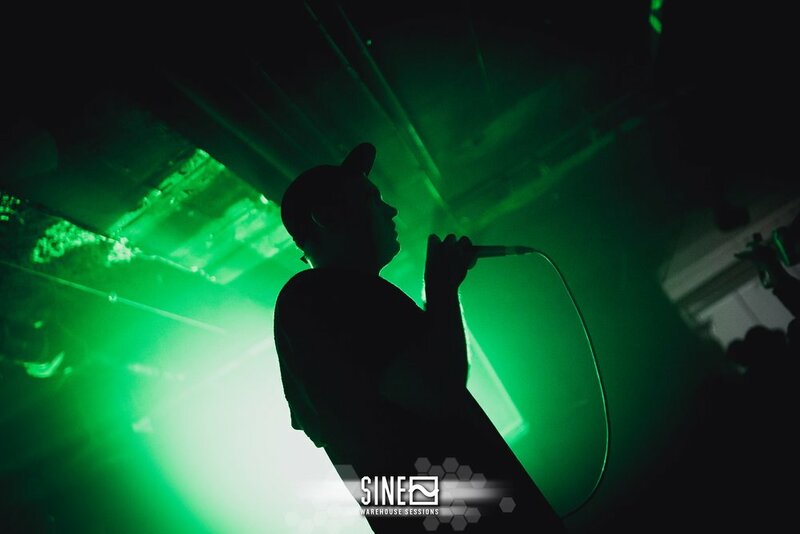 Subtle Element is another quickly rising artist that has released on labels such as Skankandbass and even on Break’s ‘Symmetry Selects’ compilation. This tune released on Infidelity Records pairs a steppy drum pattern with a superbly wobbly bassline that switches and mutates throughout the track. Incus has been quickly rising up the ranks, having recently had a tune on the ‘5 Years Of Addictive Behaviour’ LP, as well as on labels like Break’s Symmetry Recordings, Sixteen Step Records, and of course Engage Audio. We love this tune however, released as a free download on the Austrian label In:Deep alongside Vince Grain and M:Pathy, who we will discuss in more detail below. A choppy drum beat sets the foundation for a minimal tune that seems to progress with ease throughout, with precise bass details and sound effects guiding you through the duration. Last but not least we have M:Pathy, a rising producer and DJ that we cannot wait to see smash The Cause to pieces with fellow collaborator Incus. His tune ‘Hektik’ definitely slipped under the radar, with under a thousand listens on Soundcloud - something that bears no correlation to the quality of the tune. It has an almost weightless feel to the track, with a lack of snare hits giving room for the sub-bass and subtle atmospherics to shine through, yet still causing major screwface throughout. After our last article looked back at 2018 and everything our beloved genre brought us, we decided it would only be appropriate to look forward and choose a selection of artists that we believe will smash 2019. The list contains a mix of both newer producers that you may not have heard of, and more recognisable names that are on track to make 2019 their biggest year to date. This dynamic is something we embrace within drum and bass, with success being purely dependent of talent, allowing newcomers to break through the scene within a matter of months. It may seem odd for the first artist on this list to be one that has released on labels like MethLab, Dispatch and now Metalheadz, as well as having recently played room 1 in Fabric for the latter label’s Christmas party. However, this young producer has been showing constant flair throughout his productions, with each release quickly developing upon his own synth heavy, atmospheric style of drum and bass. His latest EP has only just been released on Metalheadz and is arguably his most impressive yet, however, it will certainly not be the peak of his career. Missin (previously known as Missing) has developed a wholly unique style of deep, progressive drum and bass that has been causing a stir recently among some of the bigger names in the scene, including the likes of Noisia. The track ‘Unknown’, released on Mystic State’s Chikara Project imprint, is a prime example of the superbly clean production and forward thinking attitude to the genre that the Serbian producer is bringing. Each and every track is of the upmost quality, and we predict big things to come from him this year. Data 3 have rapidly become one of our favourite drum and bass artists here at SINE, with their tune ‘Fractil’ making it into our top 5 tunes of 2018. The last year saw them release the huge ‘Tyrant’ EP on Flexout Audio, as well as landing slots on compilations from the likes of Shogun Audio, Ram Records and Drum&BassArena. 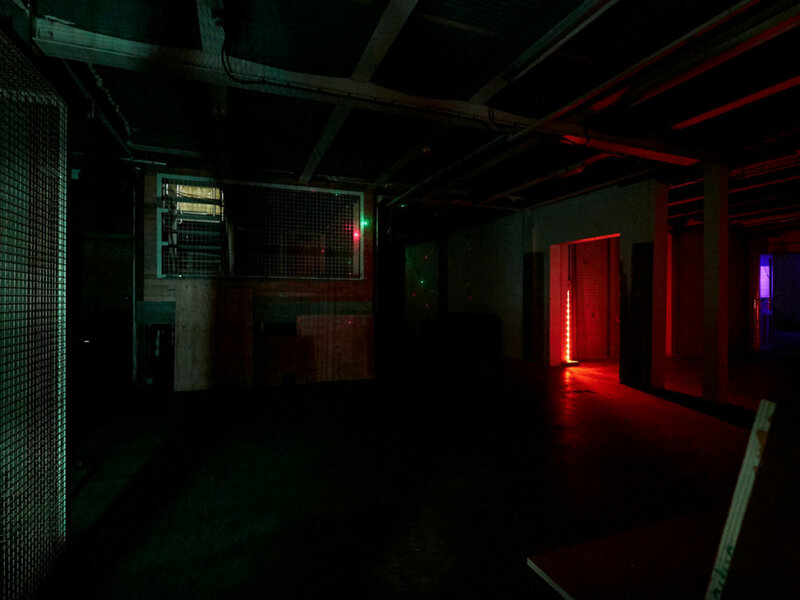 We also witnessed them lay down a weighty set in Flexout Audio’s room 2 takeover of our latest warehouse rave, something we will not be forgetting for a while. They have left a serious impression on drum and bass fans all over the world during the past 12 months with their deep, synth-laden sound, and we can’t wait to hear what 2019 brings. Occasionally you see a name that pops up seemingly out of nowhere, bearing tunes of upmost quality and originality, wondering just where on earth they came from. This happened for us with Kusp, a producer that was recently recognised by Lynx, and in turn asked to release a debut album on his label Detail Recordings. Before the album was released in November, he had some smaller releases with labels like Context Audio, as well as some self-released free downloads like his screw face inducing bootleg of Ocean Wisdom’s ‘I Ain’t Eaten’. It was the ‘Arashi’ LP that shot him into the limelight however, channelling everything from the liquid sounds of ‘Moments’ with Edward Oberon, to the spaced-out halftime beats of ‘Shadowed’. It is quality over quantity with this up-and-coming young producer, with only two other official releases since his first double release on Skankandbass’s free download series. Each release has already been highly received from both bedroom and professional DJs around the world, from the bouncy roller ‘Got You’, to the heavy jungle feel of ‘Silo’ on the latest Serial Killaz compilation. However, many of us will know Particle from the widely circulating videos of his unreleased ‘Original Nuttah’ bootleg, seen here being played by the man himself S.P.Y. Despite having released music for a couple of years before this, 2018 was by far SubMarine’s biggest year to date, with huge solo EPs on both Dispatch Recordings and Alix Perez’s 1985 Music. The music across these two releases showed incredible growth, with his flexible and unique production skills clear on both. Entering 2019 with these releases already under his belt, as well as with constant support from Alix Perez and his rising label, we can only see this being an even bigger year for the versatile producer. Visages is made up of four producers from the French city of Toulouse, individually known as Ak:Hash, Midn8Runner, Dask and Euk. Due to them already being solid producers individually, they have managed to sneak into the scene with apparent ease, with their first production (an R&B-tinged liquid remix of Serayah‘s ‘You Told me’) making its way onto Soundcloud in June last year. Since then, they have already released on Impact Music, Dispatch Recordings, Flexout Audio and Skankandbass. If they have managed this in such a short space of time, who knows what they will be manage to achieve in this coming year? Ground is a producer from Switzerland that has been creating some of the cleanest and most mind-boggling productions on the minimal side of the genre. Over the last year, he has released on heavyweight labels such as Flexout Audio, Dispatch Recordings and most recently Noisia’s Invisible imprint. Whilst these are huge accolades, the name remained for a while somewhere on the outskirts of the genre, however this already appears to be changing. Whilst a name that may not be known to many right now, we predict that this will be a big year for the Brighton-based producer. Her smooth brand of liquid has already seen support from the likes of BCee and Calibre, as well as having released on labels last year such as Soulvent and Random Movement’s Flight Pattern Records. This year has seen her play a set at Soul In Motion, as well as confirm bookings at clubs like Fabric and most impressively, the respective main stages of Hospitality’s Summer BBQ and Hospitality On The Beach. Whether through his array of bootlegs of artists from Flowdan to Fugees, or his wealth of unreleased dubs, this is a producer that has caused a huge stir in no time at all. His musical approach sits somewhere in the middle of minimal, rollers, and to an extent jump-up, yet always focuses primarily on causing absolute destruction on any dancefloor. Despite only starting to release music in 2018, he has already gained recognition from the likes of T>I and Ray Keith, and has had releases on labels such as Onyx Recordings, Gyro Records and soon-to-be Soulvent. Definitely one to keep your eye on. Standing for ‘Only a Transition’, this German producer is yet another whose name has yet to reach most people’s radar. His output over the last year has been astonishing, with a myriad of releases on labels such as Fragmented Recordings, Boey Audio, and most recently on the 5 Years of Addictive Behaviour LP. His music focuses largely on the darker end of the spectrum, with no fear of experimentation. Telomic has a unique ability to seamlessly switch his productions between spine-tingling liquid to murky rollers, and he has been on our radar at SINE for a while because of this. He has released on labels such as Celcius Recordings, Terra Firma, and Liquicity’s sister label Galacy, as well as constantly having an array of exclusives and dubs at the ready. Interestingly, Telomic is already an established name in the EDM scene under the name of Elliot Berger, and something tells us 2018 may do the same for him in drum and bass. There is always a concern in drum and bass, just like with any genre, that we will never surpass ‘the good old days’, that nothing will beat the raw edge of the pre-2000’s sound. However, whilst some may decide to completely ignore new entries to the genre and bask in the warmth of their original pressing of Alex Reese’s ‘Pulp Fiction’, we believe we have witnessed one of the most exciting years in drum and bass in a long time. At the heart of it all is the music, and we certainly been spoilt for choice over the last 12 months. Not only have we had a huge influx of new producers and DJs that are currently shaping the scene, but we have also had some game changing releases from highly respected and established names. We have seen full length albums from the likes of Break, Skeptical, and dBridge, as well as watching newer labels such as 1985 Music or The North Quarter carve their unique place into the scene. With great difficulty, we have picked out 5 tunes (in no particular order) that really stood out to us in terms of the quality, feel and wider impact they caused. Released on Dispatch back in May as part of ‘The Fourth Cycle’ EP, this tune is special for many reasons. Whilst Spirit has largely been known for his heavier cuts such as ‘Phantom Force’ with Digital or ‘Untitled MCR’ with the late Marcus Intalex, this tune saw him bring out a more melodic, and outright emotional liquid tune. The tune had been circling around for a long time before the official release, and after his unfortunate passing in August this year, the tune brought on a whole new meaning. Anyone at this year’s Sun and Bass will have heard this tune doing the rounds, and we hope the tune will continue spread his legacy for years to come. This one caused a stir from the beginning, with videos of the then unreleased tune circulating like wildfire on social media. LSB was probably not the name people were expecting to be attached to this deep track, with it being reminiscent of tunes in the earlier techstep days of drum and bass. This was released as part of his ‘A New Day’ EP, the first release on his brand new label Footnotes. Mostly known for his euphoric liquid, this tune encouraged a new side of LSB’s music, one that can also be seen in the later released ‘Potshot’. Tripped wins by a very small margin for us however. Another artist that has been taking the scene by storm recently is Benny L, and someone that we were delighted to have play at the first of our warehouse sessions in 2017. Central to the heavily debated ‘roller’ sound that has been one of the most highly debated topics in drum and bass this year, Benny L has been creating some of the beefiest sounds we’ve heard in a while. 2017 saw ‘Low Blow’ released on Metalheadz, a tune that caught Goldie’s attention in no time, and one that helped to finally bring together the jungle purists and newer drum and bass fans. Benny L returned to Metalheadz in August with the ‘Summoned’ EP, once again pushing his gritty take on the new-age ‘roller’ sound. ‘Skysteppa’ however, saw him lean closer towards the jungle side of things, blending his heavy bass with a nostalgic Metalheadz twist. Finally, we have a tune from Data 3, a trio aptly named after a key of an Axiom keyboard. Released on Flexout Audio in September, the ‘Tyrant’ EP helped to develop their signature sound a whole level further, with ‘Fractil’ keeping the ‘Stranger Things’/80s synth vibes previously seen in their ‘Something Strange’ EP on Addictive Behaviour. Sitting somewhere in between liquid and the deeper end of the spectrum, this tune brings a unique energy to any club or rave. The Data 3 boys absolutely smashed their set as part of the Flexout Audio takeover at our most recent warehouse event, and we expect big things to come from these lot in the future. Focusing here on club nights and one-day festivals, we have decided upon five of the top events of 2018. Once again, with so many quality ones to pick from it has not been an easy task. Combine one of the most hardworking and talented DJs in the scene with a sold out Wembley Arena and an all night slot, and you get perhaps the standout moment of all of 2018. The RAM Records head honcho and drum and bass icon rolled out for five whole hours in his unique style, digging out tunes from all corners of the genre, and from all eras. Where else do you get to witness someone double drop ‘Inner City Life’ with Benny L’s unreleased ‘Vanta Black’? Hospitality pulled out all the stops for this one-day festival, filling the surprisingly small space in Finsbury park with a lineup of sheer magnitude. The Hospitality tent was jam-packed with familiar faces from the label, from Kings of the Rollers, to High Contrast and his live band. The diversity of the festival truly shone throughout the rest of the six stages however, with a huge array of sets from the likes of LTJ Bukem, Breakage, Goldie, Alix Perez b2b Monty, and many more. Even the delightful British weather didn’t bring the vibes down. This was a long awaited event for many after part 1 in February, and it certainly didn’t disappoint. The night was heavy from start to finish, with huge sets from the likes of Mefjus, InsideInfo and a 2 hour b2b from Ed Rush & Optical. However, the highlight was the special guest set from none other than Andy C, who steered away from the commercial side that people often fear from him, and instead laid down one of the most brain melting sets we’ve ever seen him play. We couldn’t help put this one in here. So much work went into our final event of the year, and we hope that you all enjoyed it as much as we did. Having DRS join LTJ Bukem for one of the first times in 20 years was something we will won’t be forgetting in a hurry, bringing a one of a kind vibe to the incredible new venue. On top of this, we had our resident DJs absolutely smash their sets, as well as witnessing Flexout Audio throwing down one of the best room 2 takeovers we’ve seen in a long time. 2018 has been huge for us here at SINE, having proudly held three of our most successful events to date throughout the year. We have been lucky enough to host some of our all time favourite DJs/producers, including (but not limited to) LTJ Bukem, Bladerunner, T>I, SpectraSoul, Bryan Gee, Total Science, GLXY, Lenzman, Halogenix and Monty, as well as MCs and hosts such as DRS, Visionobi, Tali, and Stamina MC. 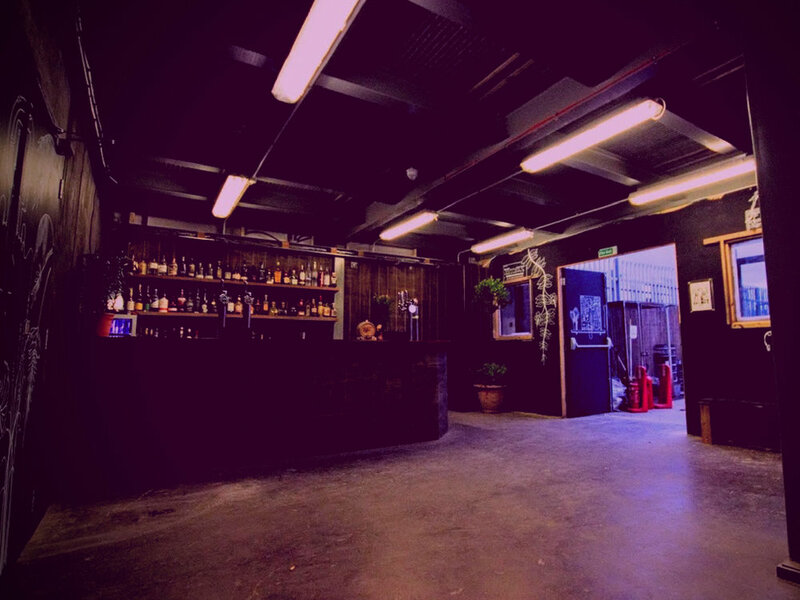 We have also managed to host these events at venues that we hold close to our heart, from the newly refurbished Hangar, to one of our favourite venues Styx - one that will sadly be closing its doors very soon. A strong sense of community is something we always seek out at SINE, and we have loved watching our small family grow into something much bigger. From our resident DJs, to our group of loyal fans that help to spread and build our brand, we couldn’t be more thankful to all of you! To keep you warm during this icy rave season, we have recently released our SINE Christmas jumpers. As warm as they are festive, they are perfect for going out to raves or as Christmas presents for your mates (or maybe even yourself). They are currently available in all sizes in either Red/Green or Black/Gold for the price of £35. Grab them HERE while you can and be the talk of the rave this Winter. 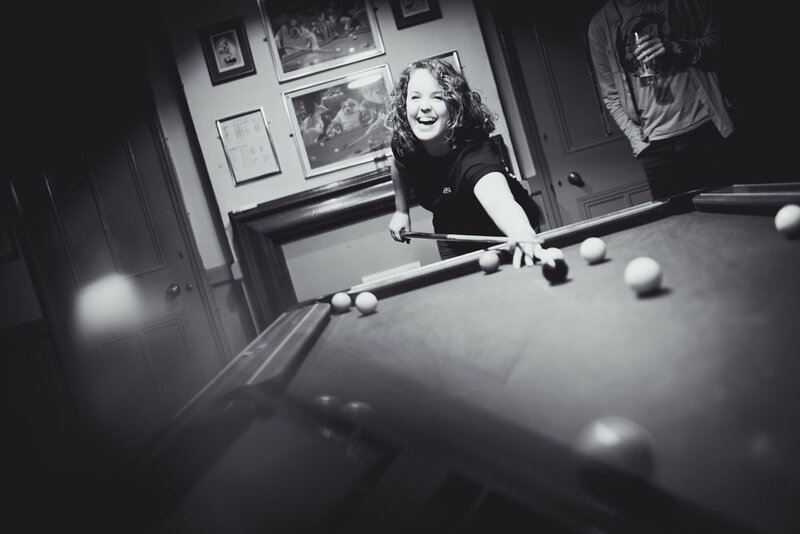 It is of high importance to us at SINE to carefully handpick the artists that play our events, and Natasha ‘Sweetpea’ is no exception to this rule. Over her many years in the game, she has made a name for herself primarily through her DJ abilities. She has continually smashed out energetic sets on an array of radio slots and impressive live shows, playing alongside some of the biggest names in the scene. Only within the last couple of years has Sweetpea begun to release music of her own, after years of perfecting the art of production and finding her own style. With her first official release being the murky collaboration with PRTCL entitled ‘Afterthought’ in 2016, her production has continued to both develop in quality, as well as settle further into a sound of her own. As well as this release on Terabyte Recordings, she has since released on highly respected labels such as Addictive Behaviour, Dispatch and Med School. Never sticking to one specific style, her music ranges from dub-influenced halftime, to unruly amen smashers, to straight up drum and bass rollers. Her latest mix for Drum&BassArena is a special one, in that every song in the mix is a track from artists playing the SINE warehouse rave on the 9th of November – whether a remix, collaboration, or their own single. The diversity of this mix reflects that of the line-up itself, containing everything from early 90’s classics to a selection of unreleased Sweetpea productions. Inside you can find tracks from Kolectiv, T>I, Data 3, Ill Truth, Amoss, LTJ Bukem and many more. This cleverly constructed mix is not only a pleasure to listen to, but provides a glimpse of what can be expected from the vibe on the night. Check out Sweetpea on Soundcloud and Facebook, and catch her alongside a HUGE lineup in just 8 days time. Do you want to become a brand ambassador for us, gaining invaluable experience in the music industry AND most importantly make some hard earned cash?! Our loyal fanbase means everything to us and we want to invest in you as quite frankly you are the ones that keep SINE alive. So here’s the deal…every event we hold (inc our warehouse rave at Hanger on 9th November) if you sell a ticket for us we will pay you up to £2 (per sale) and the top sellers will win a prize. 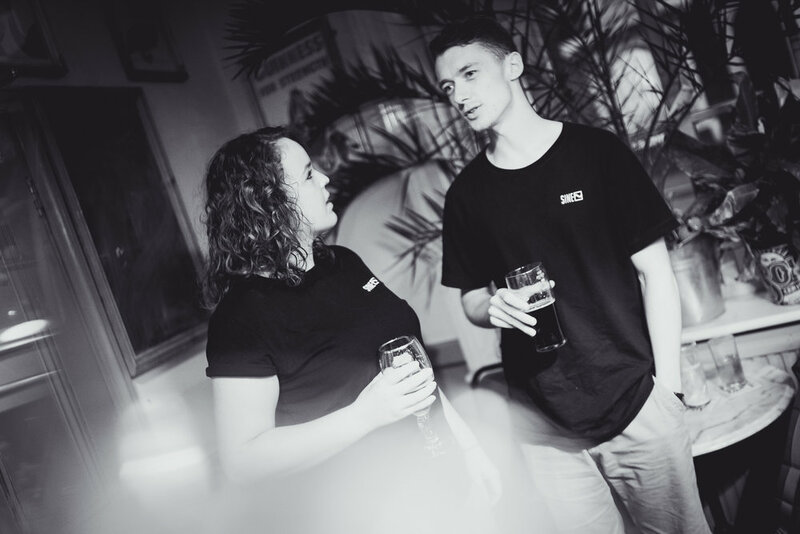 Becoming a SINE brand ambassador is easy, all you need to do is…. Once you have completed the above steps, download the Fatsoma app to promote through text and chat. Once logged in, click the REP menu to monitor your performance in detail. Commission monies will be deposited in your account of choice within 3 working days following the event. As a thank you, our top SINE ambassador who sells the most tickets wins a £50 bar bill at our event on 9th November + a SINE T-Shirt and guest list for 5 friends!!! 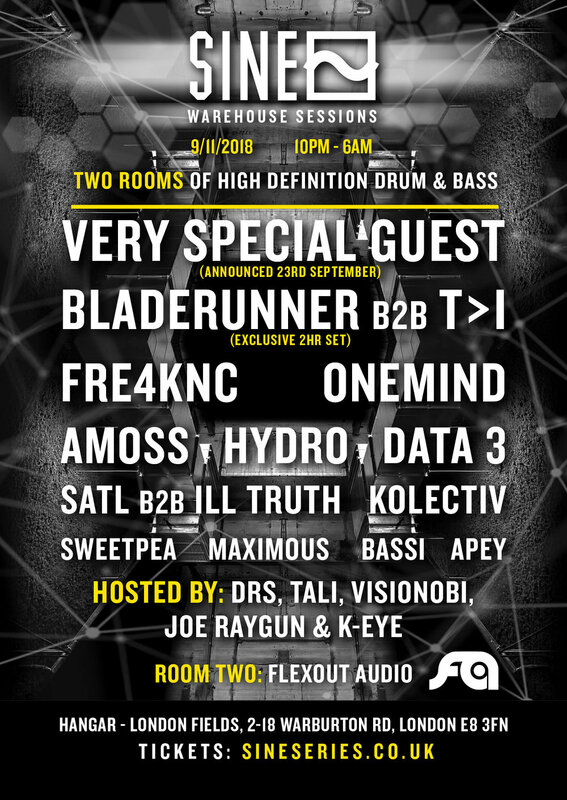 The 9th of November will see the unstoppable Flexout Audio taking over room 2 at the SINE Drum & Bass Warehouse Rave. Ran by Tom (better known as Bassi) and more recently Andy Tweedale (the former half of Flexout mainstay Amoss), the label has been on quite a journey since its humble beginnings in 2011. Focusing on the deeper, techier side of drum and bass, Flexout has gained a huge following in the underground scene, with it being a significant and instantly recognisable name for anyone into the genre. Never letting trends outside of Flexout affect their musical output, they have focused on a deep sound that has attracted a loyal following. The label includes a variety of sub series’, including ‘Onyx’ for all the newcomers, ‘Core’ for the established artists, and ‘Waves’ as a space for wonky halftime beats. Essentially though, these spaces are created for Tom and Andy to release music that they love, from artists they love. We at SINE recently got together a bunch of our favourite DJs and producers at a local pub, including Bassi, one third of Data 3, Sweetpea, Maximous, and Kolectiv, all of who will be playing at the event in November. 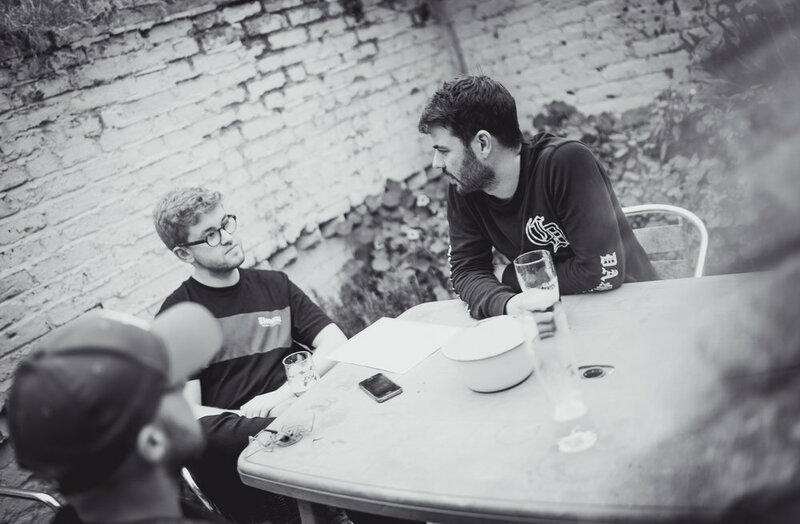 Whilst there, we had an in depth chat with Bassi, and Dan from ‘Data 3’ - a trio whose sleek productions have been causing a stir recently. Their most recent release, the Tyrant EP, is out now on Flexout, and you can listen to the EP here. They chat to us about everything from the above-mentioned EP, what to expect from the room 2 takeover in November, to made up German languages… Check out the interview below, as well as a fresh new mix from Bassi. Flexout began releasing music back in 2011, with the first EP containing a 140bpm title track, and a remix from Critical Music head honcho Kasra. How did the label originally start up? Bassi – Well Flexout actually started up as a club night due to me being a promoter at the time. From there, I set up Flexout as a label just to release music from my mates, who were making both drum and bass and 140pm stuff. I also knew Kasra already as I’d previously done Critical takeovers at my club nights, therefore I got him to do a remix of the title track. But yeah, the whole point of the label from mine and Jon’s (DJ Apocalypse) [Bassi’s previous Flexout partner] points of view was to release music from our mates, however he unfortunately passed away a few years ago. I then started running it with his best friend Stephen Dampier but now he’s moved to Thailand so I’m running it with it with the former half of Amoss, Andy Tweedale. I’ve been the consistency throughout the first 7 years and it has evolved into something much bigger than I could have imagined when we started. the idea was just to release music from my friends that made drum and bass and it has just organically evolved over the years into this deep underground sound. How do you feel the label has progressed since that first EP? Generally, what would you say is the ethos of the music you put out on Flexout? Has that stayed the same? Bassi - It hasn’t no. As I say originally the idea was just to release music from my friends that made drum and bass and it has just organically evolved over the years into this deep underground sound. I just put out music that I like to be honest. My tastes have always been quite eclectic, but then over the years as I’ve grown up I’ve gotten fussier and it has kind of funneled down into this stripped back, deep underground sound. I suppose that’s how you would describe it. I’ve always liked drum and bass music with a bit of soul and groove and hopefully that comes across through the music we release. Well one of the things unique to Flexout’s music output is the ‘Waves’ series, which focuses on the wonkier halftime sound, creating a clear contrast between the two styles on the label. Could you tell us a bit more about the series? Bassi - Yeah, so the Waves series all started because of Monty. Basically, he sent me all his music a few years ago and it was all halftime. I thought, ‘Ah I really love this music but I can’t out it out on the main record label’, so that’s why I started ‘Waves’. There was a bit of a movement going on, so I decided to start a side series in which we could release all these cool halftime, wonky hip-hop beats that were being made by various artists. From there, people kept sending me similar sounding stuff and we just kept releasing our favourite beats with pink artwork (all thanks to Monty) so yeah, big up Monty if your reading this! I guess Monty has a similar contrast in his own music as well. Bassi - I think he said he's going to go in a harder direction now, but I think definitely to begin with it was the halftime beats he was loving. That's what I love about drum and bass, you can go in so many different directions. It's just a BPM really which can act as the starting point for producers. 85, 170, that's your canvas and you can do so much with it. You can do liquid, soulful, minimal, the halftime wonky stuff. I think that's why it has been going on for so long. You can evolve it and take it in so many different directions and branch off here and there. Essentially that's what we wanted to do with the Waves series, push a new branch of the drum and bass tree. Sometimes I thought maybe we should have started a new label just for the halftime stuff, but you know what... I think drum and bass enthusiasts these days aren't too put off if a label has a side series that is releasing experimental beats as the audience feels more open minded than ever. If this is where we are at now, where do you see drum and bass going in the next ten years? Bassi - I think it just goes round and round in circles. You know, it’s 25 years deep now, the deep techy stuff has been done before. Liquid has its own massive following, these various branches get popular and then die down for a bit. The dark stuff will get popular, and then it will get boring. Jungle has come back again and has had a huge resurgence. All these different branches have always been around, but to me it just seems to go in a loop. Although there has never really been that wonky halftime stuff till recently, that seems to have been a new branch. I constantly change my mind but at the moment I want to take the record labels sound and make it more progressive, so it’s almost like deep house/techno at 170bpm. Where you almost have to mix it like house music, and the tracks are really progressive and evolve. My favourite artist at the moment is a guy called 'Missing'. His stuff is so progressive that the tune just keeps evolving over 5 minutes, meaning you can almost just let that tune play for the duration. And with DJs now trying to mix so quickly because they are scared of losing the audiences attention, I think it's really cool that you can put on a tune and let it roll for 3 or 4 minutes. Dan [Data 3] - But it sounds like you are mixing as well because there's so much going on. Bassi - Exactly. For me personally, there just needs to be either soul, groove, or this progressive nature. That's the sort of music that I'm looking for with Flexout. we've got our yearly thing where we'll set a week aside and book a house in the middle of Wales, or in the middle of nowhere, and just get lashed up and make tunes for a week. Do you see your music as somewhat separate to current trends in the wider scene then? Bassi - Yeah totally. I think the best way to do a drum and bass record label is to not listen to any other drum and bass if possible, just listen to some jazz, soul and stuff like that. Get your influences from outside of drum and bass, that is the key. If you're getting your influences from drum and bass then I think that's where the scene can start to stagnate. 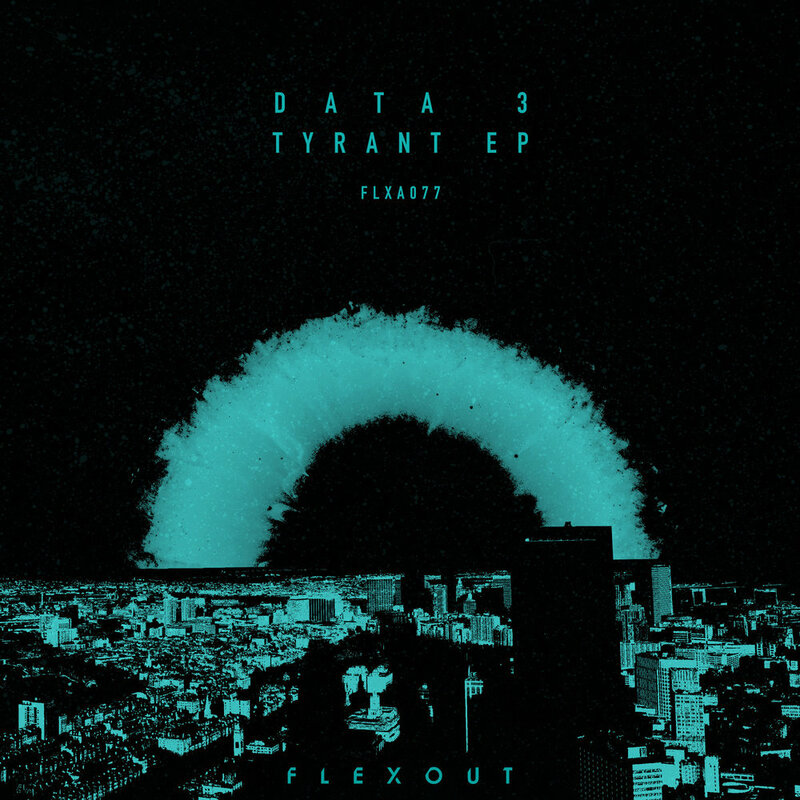 The latest big release on Flexout is the 'Tyrant EP' from Data 3, with Data 3 consisting of you [Dan], also known individually as ‘Mark Dinimal’ or ‘MD’, Alex Kostyakov, and Harry Bryson from ‘Pola & Bryson’. How did you three all meet and decide to form Data 3? Dan - It basically started when I had my 21st birthday party. I'd met Harry and Alex before this because they used to be in a dubstep duo called 'Syrum’… not 'Serum’ [laughs]. I asked them to come play at my birthday party where we then we got chatting and became good friends. Basically, they soon got fed up of me saying 'We need to speed the tracks up to 175 and put a snare either side of the one in the middle.' It was a recurring thing, so we were like 'right, let's just make our own alias'. Data 3 came about like that really. The name itself came from the Axiom pro keyboards, which have a little label on one of the keys saying Data 3, so we thought that was perfect. Could you tell us a bit more about the EP itself? Dan - It only really came about because we sent a few tunes to Tom, and then he was like 'right, we need an EP.' And no one had really said that to us before. Bassi - I don't think that's what really happened. Dan - Was it not? Bassi - I thought I messaged you lot and said that we were putting on these Flexout club nights and promoters wanted to put you guys on the line-up as well so I said you need to put some music out on Flexout no? Dan - Thanks for letting me know. My memory only goes back about 2 weeks [laughs]. Bassi - I’m sure promoters just kept hitting me up and asking mentioning Data 3, so I had a proper in depth listen to your music and I could see why the people that wanted to book Flexout events would want to book Data 3. Then I realised you lived down the road and we went down the pub and that’s where we spoke about an EP…or have I just made that up? Dan - Your memory is as bad as mine! Bassi - Yeah mine is shocking to be fair [laughs], too much partying. But I definitely remember that after a few beers I realised we were all on the same level, and I realised these guys had to join the Flexout family. You guys have quite a unique sound, sitting somewhere in between the deeper and liquid sides of drum and bass. How does the writing process go with you all? Dan - It varies really. Harry takes his main inspiration from S.P.Y and I can think you hear it a little bit in some of the darker tracks. In mine however it's more of a minimal sound, and then Alex is more into jungle. It becomes a nice combination of all the different sounds, with the variation in the tracks also depending on who starts them. Me and Harry live together but Alex lives up in Manchester, so we’ll send tunes to each other and all end up starting different tracks. That’s basically how it works. Do you ever work in a studio session where all three of you are together? Dan - Well we've got our yearly thing where we'll set a week aside and book a house in the middle of Wales, or in the middle of nowhere, and just get lashed up and make tunes for a week. But aside from that, it is usually just transferring through Dropbox with me and Harry sitting and working together on the tunes. Bassi - A bit of both then I guess. Dan - Yeah definitely. Although, it is quite hard to take control when Harry is there because he's a proper control freak when it comes to the music. He likes to sit in the driving seat. Is producing something that you have thought about much Tom? Obviously there was the Serum remix of your tune called 'Apocalypse', which you released on the 'Reflexions 2' compilation last year. Bassi - Yeah, so I made that tune about Jon. When he died I essentially raided his hard drive and there was this tune that he'd made with this ragga sample. I then got Spyda MC - who we'd done a lot of gigs with in the past - to redo this ragga vocal. To be honest though, nowadays I don't really have enough time now to focus on both the record label and production. Dan - It does take up way too much time. Bassi - I think it's quite common for producers to get to an age where they are settling down with a family, and therefore don't have the time to put in for the music anymore. Unfortunately, their careers can fizzle out because their priorities change. It is a very time-consuming thing and most artists are also holding down full time jobs. Dan, what is your personal favourite track from the new Data 3 EP? Dan - That's a tough one. Probaby ‘Fractil’ though. I get the most enjoyment out of listening back to it because I love the space in the track. With my solo Mark Dinimal stuff, I like all the details, whereas with Fractil there isn't really too much of it. I just love listening to that song and I don't think I'll ever get bored of it. It has that 'Stranger Things' vibe which is something definitely associated with the Data 3 name. Dan - Well yeah, we discovered that with our second single on Addictive Behaviour, 'Something Strange'. We soon realised that it was a really good niche to go for, that kind of 80's synth vibe. Bassi - I love Fractil and it's an honour that we got to release that track. I think you'll listen back in ten years time and it will still work because it has that timeless quality to it. It's the groove really, and that's what drum and bass needs… groove and soul. Although even some of the deeper stuff that we've released are pretty much one note rollers. However, I like to think that they have an element of soul or groove, or just some kind of character to it. I get sent so many tracks that sound the same, but there are certain tracks that really stand out. Dan - It's one of those things that you just can't put your finger on but it's there. You and the Data 3 guys formed in 2013 and it's safe to say you have rose to success fairly quickly, with releases on labels such as Addictive Behaviour, Soulvent, Shogun, and now Flexout. What can we expect from the future of Data 3? Dan - To be honest, we literally just sit in the studio and make music, and we don't really plan too much ahead. We want to do some more work with Flexout definitely, and then venture out really. We've also got a few tracks coming out on big label compilations in the following year... oh, and another track coming out on Core 3 [Flexout various artists EP series]. Bassi - Yeah so we have a series called 'Core', which is for all the core Flexout artists, and off the back of the Tyrant EP we had to include a track from Data 3. It will be out this November I think. It's a really cool track. Dan - To me it's an even bigger track than any off the EP as well. Definitely one of my favourites. Bassi - Yeah, it's a big track. It's called 'Komparen'. Why is it called that again? Dan - Because we made up a fake German language. If anyone has seen the comedian Reggie Watts, he basically just rambles on in these made up languages and makes it sound real. So, we decided to record some of it. Bassi – Wait, is that you on the track? Dan - It's Harry on the track [laughs]. Bassi - I thought it was an actual sample of a German speaking. Dan - No we're not actually saying anything in German. We were just making English words sound German. It's something different, that’s for sure. But back to the original point, we don't really make plans. We talk to people and meet people and see where that takes us. Bassi - Best not to make plans in life. Dan - Exactly, you just get let down [laughs]. Back to the SINE warehouse rave, is there anyone that either of you are most excited to see on the line-up? Dan - It's got to be Fre4knc for me. Saw him for the first time at Tom's last Flexout night at Five Miles and I’ve honestly never danced so hard in my life. Bassi - You were driving so were totally sober as well. Dan - Yeah that guy is just a machine. Never heard anything like it. Bassi - It took me absolutely ages to convince him to release music with Flexout, I think I've had to prove to him over time that Flexout is worthy. He has some stuff coming out on the label next year which I'm really excited about. Dan - Send. Send. Send. What can people expect from the Flexout takeover at the event? Bassi - I'd have to say progression. I'll probably be starting the night, and I think warm-up sets are really important. I hate it when you go to a club and it's banging straight away. Dan - You do a banging warm-up set though. Bassi - Thanks mate. We'll start off with a good old fashioned warm-up set, and then let Amoss roll out. Then we have Fre4knc who mixes a bit more up front, and then Data 3 and Kolectiv. So yeah, the night will progress and probably get harder as we go on. That’s how I like to plan our club nights. It's almost got that techno feel to it, you know? You need to mix it like house music, it evolves, and you can let the tune roll out for ages. 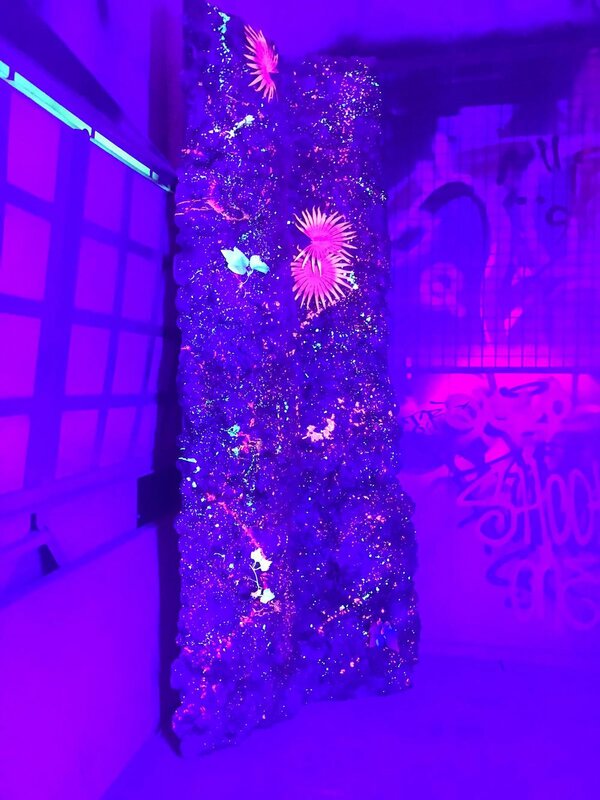 Flexout has been growing a lot since it started in 2011, and doesn't show signs of slowing down, especially with upcoming events such as the Fabric room 3 takeover and of course the SINE takeover. What can you tell us about your future plans? Bassi – Well we've been doing lots of shows in mainland Europe, and we keep getting more and more people wanting us to do shows there which is really cool. We've got a few more of those coming up in places like France, Germany, Switzerland... all over the place really. In terms of music, we're trying to keep developing the family. We'd much rather go down the route of having a select group of core artists, rather than releasing new artists all the time. Hopefully we'll hear some more music from the people who have released on Flexout in the past. I also have this vision of drum and bass that we release being a lot more progressive. So in terms of the sound, it's always going to be deep, underground and minimal to a certain extent, but more soul, more groove, and more progression in tracks. I think at the moment there is a worry that this whole deep, minimal sound can get a bit boring and stagnate, so the plan is to not allow this to happen and inject some new life into it all. Finally, can I have one drum and bass tune from both of you that you are rating at the moment? Bassi - For me, a track by Missing called 'Psychological Profile'. It just really encapsulates everything I've said about tunes that evolve. I mean, I could name you about 20, but for me that I really love. It's almost got that techno feel to it, you know? You need to mix it like house music, it evolves, and you can let the tune roll out for ages. Dan - I want to pick something obscure to be honest. There is a tune Tom sent me called 'Para Days'. Not actually sure who it’s from though. Bassi - It's from four French guys from Toulouse called Visages. That's Ak:Hash, who has done some tunes on our Waves series, along with 3 others. They invited us over to Toulouse last year, and it was just such a wicked night. We're actually going back again in December as well. All 4 of them are the nicest guys, and they’ve just started this little quartet. Their first, or maybe their second release is going to come out on our Onyx series after this Data 3 EP which I cannot wait for. ‘Para Days’ also features Messy MC, who has been DJ Fresh's MC for years. It's been going down really well. Dan - Yeah it's sick, I've been playing it every set. Really looking forward to hearing the rest of it. Thank you both for your time. We’re looking forward to catching both your sets and the rest of the Flexout crew in November. Ahead of the SINE warehouse rave in November, we have decided to compile a list of our top 5 unreleased tunes from the artists soon to be gracing the decks. A 'dubplate' originally referred to the pressing of an exclusive tune onto a 10" acetate disk, largely in the reggae, dancehall and dub scenes. These tracks were one-off's often attributed to a certain sound system, and therefore used in sound clashes to 'battle' their opponents. Quickly dubplates spread into a vast array of other underground genres including jungle, and subsequently drum and bass. Whilst we have somewhat moved away from dubplates in their physical form, with vinyls being replaced for ever shrinking USB sticks, the 'dub' remains as important as ever. The songs below have been specially selected by us at SINE for both their quality, and their impact in the wider drum and bass scene. Our first pick comes from Data 3, made up of Harry Bryson (one half of Pola and Bryson), Dan Hartley (Mark Dinimal) and Alex Kostyakov. Whilst it is often argued that a classic should be left alone, in some cases this just isn’t true. The fast-rising Data 3 boys have put a crisp modern take on a tune that has been destroying raves for over ten years now. 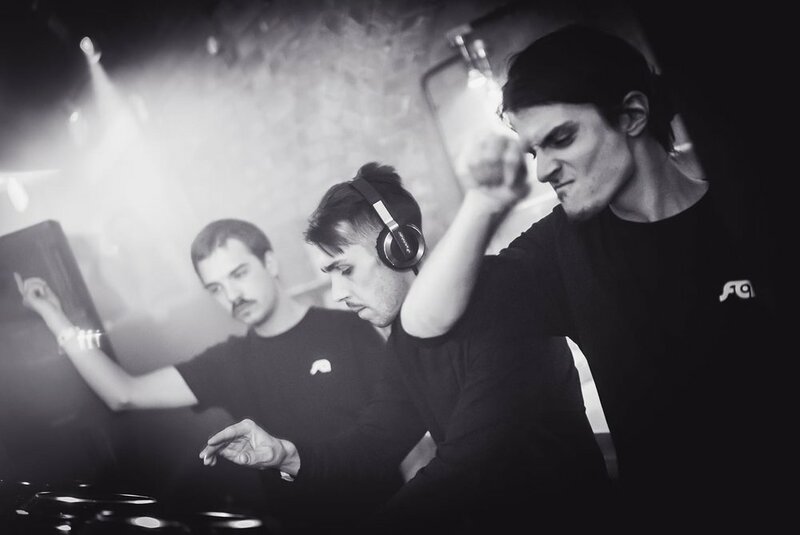 We cannot wait to get this trio on the decks with their blend of deep and liquid influenced tunes. Next up we have a tune from Satl, who will be teaming up with Ill Truth on the night for a huge b2b. Dan Stezo’s pensive vocals sit on top of a dark stepping beat, creating the murkiest of atmospheres. Having been closely circulated between DJs for a while now, we can't wait to hear it boom through the warehouse in November. Despite the recent departure of one half of Amoss, the now solo producer shows no sign of slowing down. Being tested out by the man himself at this years Dimensions festival, this track rolls in the typical Amoss fashion, deep and dangerous with a roaring bassline that is sure to destroy dancefloors for years to come. Check out the sweet shades too. Bringing one of the most iconic jungle tunes from Ray Keith back to life, T>I’s remix has been in close circulation for a long time now. According to a video on Facebook from Ray Keith himself, we are going to have to wait till 2019 for this huge remix to released on Dread Recordings. For now, we will have to wait and witness T>I play b2b with Bladerunner, a roller heavy set that will be sure to leave the warehouse in pieces. Making up 1/3rd of possibly the most talked about acts in drum and bass right now alongside Serum and Voltage, Bladerunner has a USB filled with exclusives. Straight off the back of their 'Rave Alarm' EP, footage started circulating off this VIP, bringing a razor-sharp new twist on a track that has been dismantling the festival and club circuits for a while now. If you want to hear all these tunes under one roof, then check out the Facebook event page here, and cop a ticket before they sell out! Front & oversized back logo. White logo on black t-shirt. Free postage to UK addresses. Contact us for international shipping quotations. 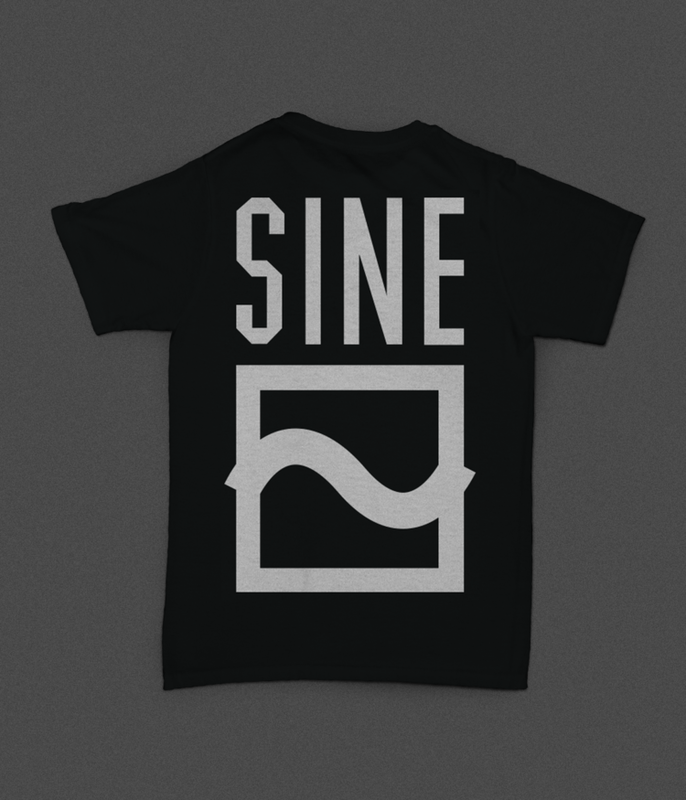 TAKE A PIC WEARING YOUR SINE T-SHIRT AND POST IT ON INSTAGRAM WITH #SINESERIES TO GET 50% OFF YOUR NEXT SINE SERIES EVENT TICKET! 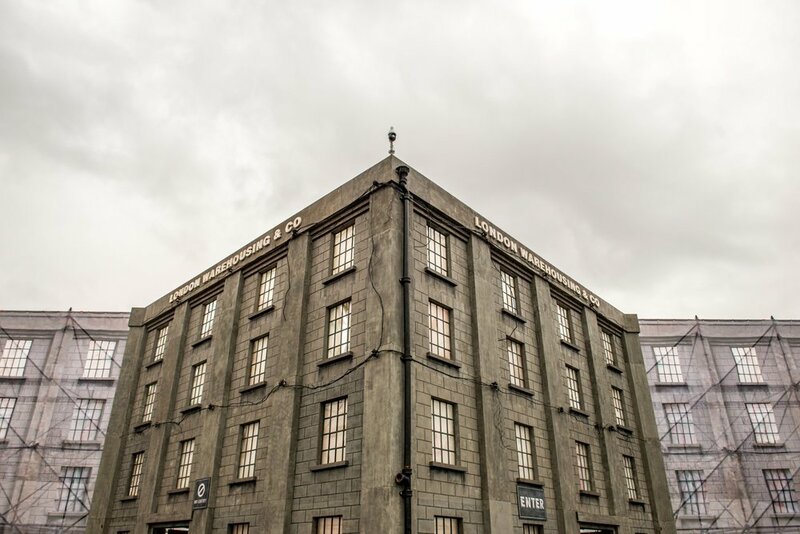 SINE presents a daytime drum & bass rave at one of London's most unique and underrated venues - STYX. This will be their biggest line up to date with artists spanning the whole drum & bass spectrum from the early days to current times. Early bird tickets sold out within a few days. On Saturday 21st of April SINE teams up with Function Records and presents FUNCTION:AL at Lightbox London. Dispatch Records pre night warm up! Just under 27,000 of you tuned in to hear Dispatch regulars Zero T, Survival, Philth and Arkaik hosted by MC Visionobi LIVE from the Lightbox main room, ahead of the weekends main event.